Contact JFKDESiGN today to discuss your next residential design. Double Storey terrace house in South Melbourne. "JFKDESiGN created my unique and stunning home, which has a WOW factor from the moment you enter." Jackson understood what I was trying to achieve from the first conversation and I had complete trust in his recommendations. The final result of my home definitely exceeded my expectations. I now live in a positive space with great light, luxurious comforts and clean, simple lines. My home is unique and has a WOW factor from the moment you open the front door. An integral part of my brief to Jackson was to create a home suitable for entertaining - certainly a challenge given the small block size. In this, and in all aspects of the project, Jackson delivered beyond the brief. The open plan living downstairs works perfectly, making it easy to entertain large numbers or keep it intimate and cosy. Jackson remained involved in the project from start to finish, another positive of working with JFK Design. His practicality and commitment to the final outcome ensured he was available to work through details, consult with the builder and provide solutions when required. A new residence in Brighton. We have no hesitation in recommending Jackson and JFKDESiGN for any proposed new builds or additions. From initial concept through to the finished build Jackson gave meticulous attention to every detail. He was consultative, patient and encouraging. His ideas for clever workable spaces, wonderful modern finishes and his ability to marry functionality with style is outstanding. We are thrilled with the result. Alterations and additions in Heidelberg. "Beautiful spaces and a joy to live in." Our house is now a beautiful blend of 1950s street frontage and modern design at the rear of the house, which works perfectly for our modern family living. We have multiple spaces which we now love living in. However, a firm favourite is our kitchen, where Jackson created a hub for the family to connect. Far from purely functional, the kitchen opens out to a glorious open deck and garden - the perfect space for family and friends to share food and stories. Central to our brief was to work with our irregularly shaped block, and here JFK demonstrated the difference a strong designer can make, reorienting the rear to face north rather than west and dramatically improving light and warmth inside the home. A particular strength of JFK's is his ability to build strong and lasting relationships. With both us and our builder, we found his ongoing communication to be integral to the success of the project. He's practical and pragmatic, working through site challenges with our builder whenever needed - while also providing great support in the numerous interior design decisions made throughout construction. Rebuilding and extending a heritage building in Albert Park. "A delight to live in year round"
JFKDESiGN were able to create something stylish, unique and functional given our small block but large demands. Throughout the creative process Jackson took the time to understand our evolving needs and the result is our stunning family home. The feeling of space and natural light make living in our house a delight all year round. After time spent living overseas, we have returned to the home and appreciate the design even more as it accommodates the needs of our growing family perfectly! Reinvented workers' cottage in St Kilda. "An amazingly executed design, resulting in a home that feels significantly more spacious than reality." 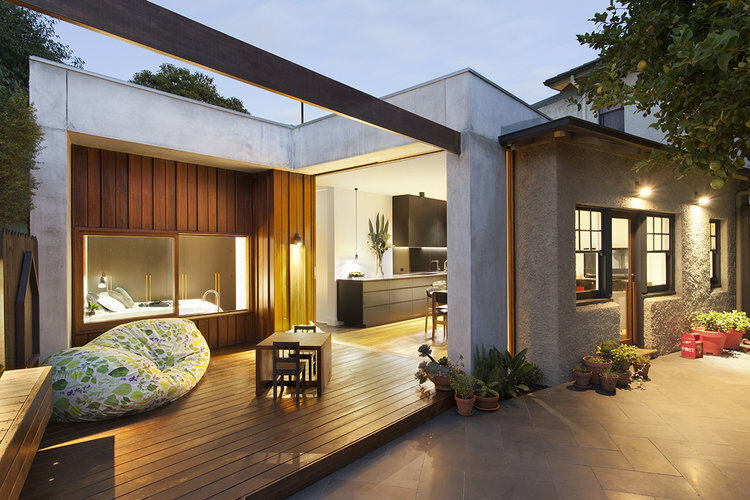 The team at JFKDESiGN were able to create an award-winning home on our small lot in central St Kilda. Enamoured with our home's location, but struggling with it's multitude of tiny rooms and dysfunctional floor plan, we worked with Jackson to create a luxurious, modern city pad that highlighted the generous outdoor space, brought outdoors in and made the most of every centimetre of space. Stylishly finished, our house demonstrates that Jackson's skill with interiors is as highly refined as high spatial and building design.